We are loving all things sparkle this autumn/winter and these velvet trousers are a must have! 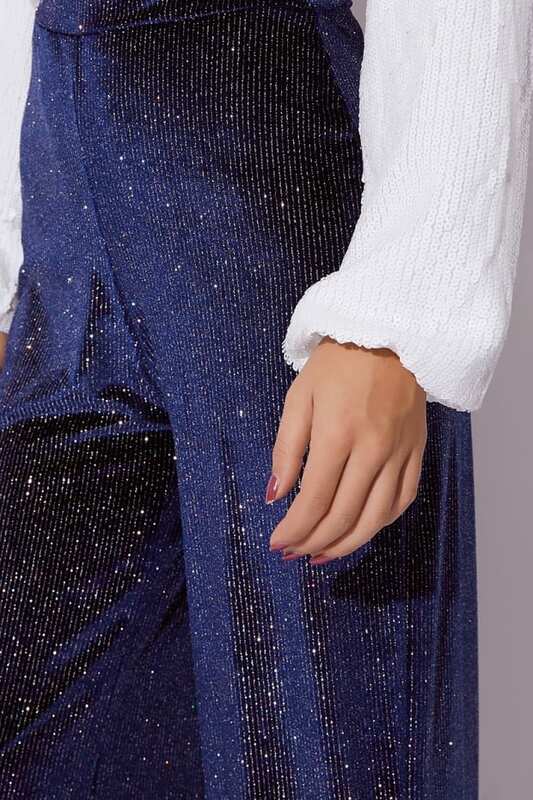 In a flattering high waisted, wide leg fit and elasticated waistband, girl these are essential for creating the perfect winter party season outfit! Wear with the matching crop and heels for an all eyes-on-you evening look.